The storyboarding and animation software company, Toon Boom, have been taking advantage of the release of the animated Macra Terror to promote their wares. 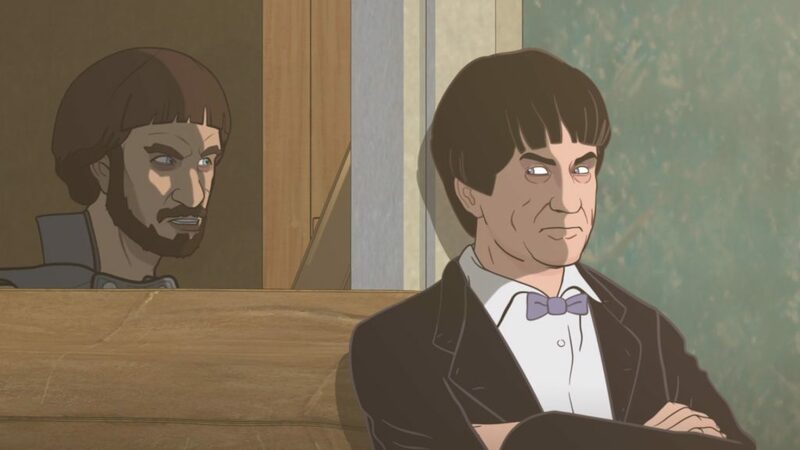 They’ve released a blog giving some behind the scenes detail on how Sun & Moon Studios used their software to bring the long-lost Patrick Troughton story back from oblivion. The Macra Terror project was led for Sun & Moon by Director/Producer Charles Norton, with assistance from character designer Martin Geraghty, storyboard artist Adrian Salmon and CGI animator/compositor Rob Ritchie. The team used Toon Boom’s Harmony software to realise the project. They had very little to work with except the audio track (record off air for us by Who folk hero, the late Graham Strong), a few photos (which can be see here), and film trims made by the Australian censor. In fact, the team had to imagine some scenes almost from scratch with little to go on but one or two tele-snaps and just a few sound effects. In their blog, Toon Boom discuss some of the tools they provide and explain their use in the Macra Terror restoration; for instance, a feature allowing one to more quickly and easily animate a character’s face. In total, Sun & Moon had 12 animators working during its 7-month production. Helped in no small part by their Toon Boom kit, their productivity peaked at 90 shots per week. The reception given to The Macra Terror has been generally positive, with The Guardian rating it 4/5, noting that, while ‘it is not one of Troughton’s best adventures,’ it is a ‘welcome addition’ to help fill the huge gap in the Troughton canon. 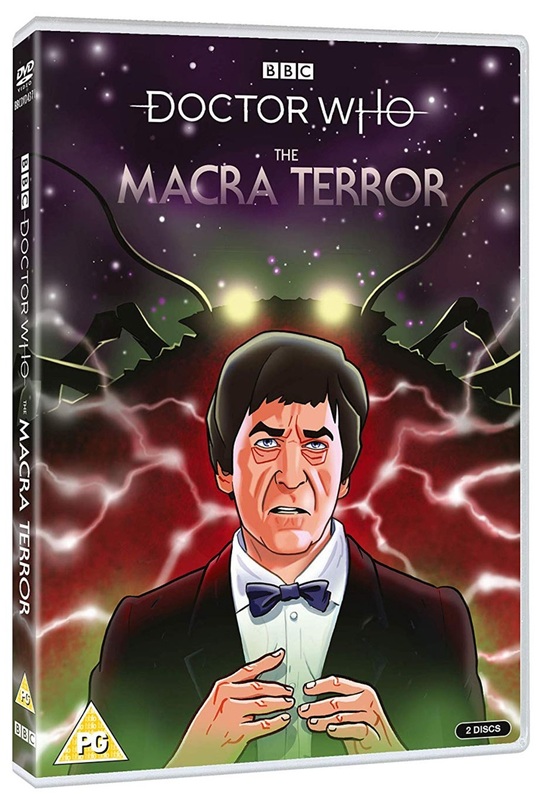 To see Sun & Moon’s work for yourself, you can buy The Macra Terror here.